Akershus Fortress, Oslo, Norway, a photo by sjwmobile on Flickr. A photo of Akershus Fortress from a recent trip to Oslo, Norway. 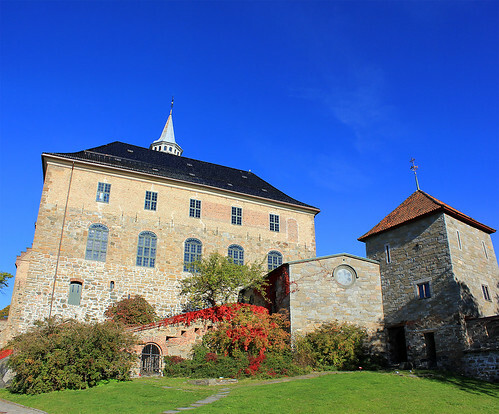 Akershus Fortress is a medieval castle, built in the early 1300’s to protect Oslo, the capital of Norway. Over the years it also functioned as a prison. 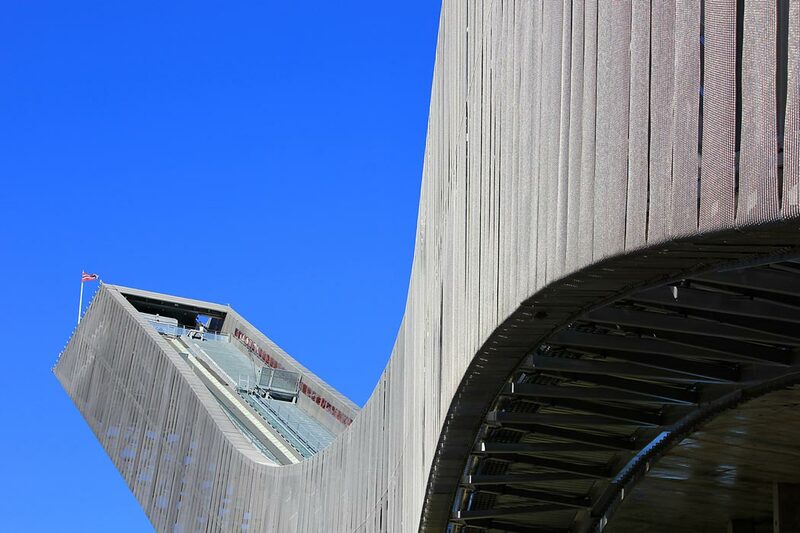 A popular tourist attraction in Oslo, it’s also the resting place of Norwegian royalty in the Fortress’s Royal Mausoleum and a regular venue for big events, concerts and holiday celebrations. In Autumn, the colours are spectacular.